Some in the media refer to it as a “data breach” – as though someone hacked into Facebook and stole information for their private use. But there were no breaches; no one broke through any firewalls. The crisis caused by Cambridge Analytica’s use of Facebook’s data stems from Facebook’s business model, which is based on acquiring and monetizing the personal date of its users. It is exacerbated by Facebook’s persistent refusal to take seriously issues of privacy for its users. One aspect of this callous or calculated contempt for privacy can been see in Facebook’s virtually incomprehensible platform which makes it difficult for many users to successfully use Facebook's privacy settings. Facebook will let you have some enhanced privacy, but good luck figuring it out. Tech savvy millennials can figure these things out, but may not care to bother; their parents and grandparents who are now hooked on Facebook to stay connected to their family all over the country and the world, probably have almost no chance of securing privacy on Facebook. Finally, there is the problem that many Americans – especially Millennials and Gen Y'ers – do not seem to be particularly concerned about their own privacy. Coming of age in the digital cell phone age, with the ubiquity of endless (and often careless) texts and selfies, far too many younger Americans have a very low sense of privacy. Facebook easily steps in to exploit this openness, naiveté, and cavalier disdain for privacy. The business model is clear. Facebook offers its services for free and it allows for cool and fun, interaction between friends, relatives, and strangers as they communicate, share things, and become part of a “social network.” Facebook offers people a community and a large extended family. This especially enticing for, for people – especially millennials – who feel isolated and disconnected from their world. To get this for free, Facebook just asks for some data about the user – age, gender, and interests. It hardly costs anything to join the community and find new friends. There are no dues, entrance is free, and there is not even a user fee. For people who spent a decade watching “Friends” on TV – and vicariously having such friends – Facebook is irresistible. Where else can you have new friends, make new friends, “friend” new people – even strangers – every day. The very fact that Facebook has turned the word “friend” into a verb illustrates the power of the company and its technology. Facebook is the friend that lets you constantly "friend" new people. And to get all this all you have to do is give up some privacy. No big deal, especially when you don’t even know you are giving it up. Even if you know what you are giving up, you may not only think it is worth it, but may actually relish the outcome. Your data is sold to advertisers. So, you get ads directed just to you. Thus, you get to think about buying only what you might want to buy. You don’t get ads about stuff you don’t need. You don’t have to watch ads for cars if you don’t have a driver’s license. And if you just announced to the world that you have a driver's license, suddenly the car companies are showing your their products. And it keeps getting better. Facebook analyzes your “likes” and your “dislikes.” The more you like stories, photos, music, and videos, the more Facebook knows about you. 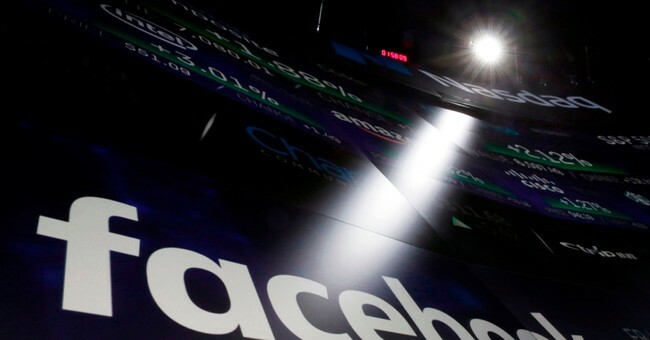 Soon Facebook knows more about you than you know about yourself. Facebook is like your therapist, probing deep into your psyche to learn who you really are, what you like, want you want, and what your fear. All those mouse clicks and keystrokes are recorded, counted, and analyzed to provide a profile. But unlike your shrink, there is no doctor patient confidentiality here. No Hipaa rules protect your privacy. On the contrary, by joining Facebook you waive your privacy and anonymity and effectively authorize Facebook to sell your secrets to not just the highest bidder, but to every bidder who will pay for them. It will be difficult, if not impossible, for Facebook to “protect users privacy” when they, in fact, traffic and profit from such information. Selling data is their business and business is good. At one level we can hardly blame Facebook. The company is giving everyone a new family, new friends – endless numbers of friends – and not charging a dime for it. And, do you really care how many businesses know what you like or don’t like? But if you do care, are you willing to be cut out of the “community” and the extended family? Most Americans are not ready to leave the community over some abstract privacy issue. Apple CEO Tim Cook disdainfully notes that his company does not monetize its customers, or sell data about them. He agreed that “If our customer was our product we could make a ton of money.” But Apple actually sells a product to its customers. On the other hand, we only wonder how many Americans would gladly give Apple a ton of data for a free I-Phone or Mac-Book Pro? So, where do we go from here? Facebook’s Mark Zuckerberg will be visiting Congress this Tuesday. The conversation ought to be interesting. He will explain how it happened that data about some 80 million Americans ended up in the hands of foreign companies involved in the last election. Soon we may know how many Russian operatives posed as Facebook friends during the election. At least the hearing will be open and televised. Zuckerberg may leave them with a greater sense of the value of privacy. He may also wonder how many friends he will have left in his community.